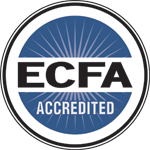 Make your certification payments online here. "When we started our church we knew we wanted to be able to ‘hand-craft followers of Jesus’ one person at a time and have attempted to shift away from cookie cutter programs. But, that’s easier said than done. I grew up in and ministered in churches with a ‘big program’ and Sunday School mindset where people were mass processed in our discipleship efforts. I had a sense that there had to be a better way to come alongside people who wanted to grow and I desperately needed the framework, mindset and skills to do that effectively. 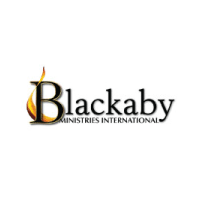 I looked at a lot of discipleship programs and coaching options and I decided to add the Coaching Certification from Blackaby International to my tool box. 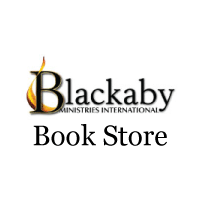 As a pastor I have a dozen or more offers come through my inbox and mailbox monthly to sell me on a new curriculum or a better set of tools to get people into the Bible, etc. But, what I knew I needed most was life on life training in how to coach people into God’s agenda for their lives. I needed to learn how to listen, use scripture properly, how to help someone tune their hearts toward the will of God and then assist him/ her in crafting a personal plan of action. The Blackably Coach Training process is doing all that for me. I’m pumped to sit down with people in our congregation and use the tools that I’ve been given through this process. I’m seeing life change all over the place and people moving onto God’s agenda almost effortlessly. Thanks Bob Royall and Brett Pyle for a great season of training that has already made a huge impact on me and the people I lead." PhosChurch.com / JeffFuson.com A coach approach to helping people experience God and lead from His agenda. 1. Fully understood the principles of Experiencing God and Spiritual Leadership. Additional coaching—fifteen sessions total coaching a minimum of at least three different persons not related to you, with evaluations Coaching sessions should be for at least one hour each. COMMIT to coach within Blackaby Statement of Beliefs, and according to Seven Realities principles. · Re-Activation will grant them an additional year to complete Certification before they would be inactivated again. Prayer Journal elements: Thirty days, total. - What do these verses say about God, His Purposes, and/or His Ways? - What is God saying to me through this Scripture? How should I respond?